The plant offer is illustrated in our catalogs which can be downloaded and consulted from the comfort of your couch. 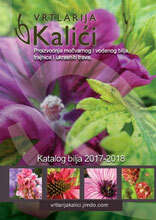 If you dont want to scroll down the entire catalog use the tool find in your pdf reader to find the plant you want. 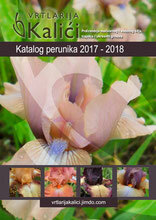 Plants are primarly listed by latin names.The catalogs are update as frequent as we can. New versions comes out every two seasons. We offer a wide range of plants so there is a lot to choose from. Consult our catalogs by clicking on this link. Before placing an order please contact us for additional information and for delivery costs. Fill our order form (fillable pdf form) with you address and desired plants and send it to our mail. We send plants only to Eu countries. For foreign customers we accept only advanced payments. The preferred shipping period is from september till may because we send bare-root plants to avoid high postage costs. Please consult our Terms & conditions before placing an order. Max packet weight for Eu-countries is 30 kg. We send the packets by HpExpress courier because is the less expensive. For packets till 10 kg the postage is about 46 Eu. For every additional kg over 10 kg there is a surcharge of 2 Eu/kg. Please contact us before ordering for postal charges. We can also send small packets with bare-root plants by regular post.